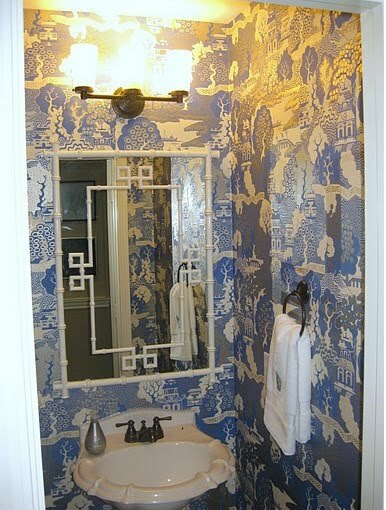 I've seen some wonderful uses of wallpaper in blogland recently and I'm feeling inspired. Our only project slated for wallpaper at the moment is our upstairs bathroom...but I want MORE! 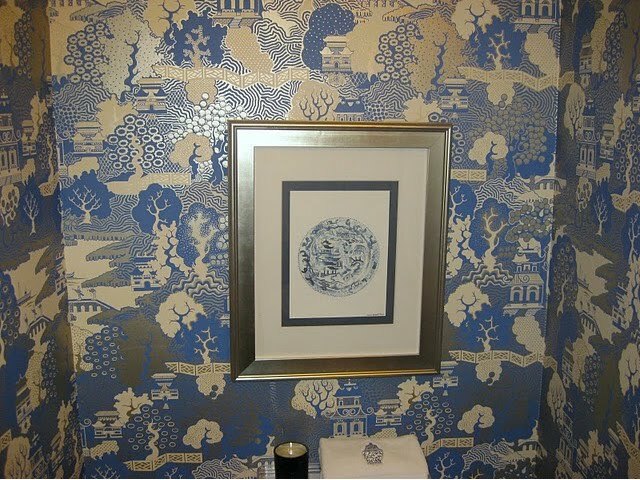 An entirely wallpapered room is my dream, but not in my budget, so I'm seeking out nooks and crannies that might work with a little punch of paper. An awesome entryway papered in Lulu DK's "Chant" by Danika at Gorgeous Shiny Things. Don't you love how that mirror and those lamps pop against the beautiful red? I wish I had a good entryway like this...I love papered entries! Be still my heart. 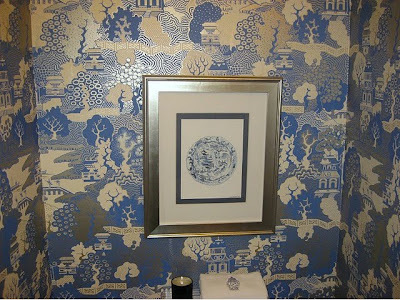 I am crazy over Averill's powder room redo over at Odi et Amo using Osborne & Little's "Summer Palace"...what a beautiful use of this classic paper. And I'm completely taken with her choice of mirror (from Williams-Sonoma Home) - I love how it looks against the paper. Gorgeous Chinoiserie strikes again. Hmmm...so what shall I wallpaper at the AO house?...I'll need to think on that one. Thank you Daniela for the sweet mention! That summer palace does it for me every time. 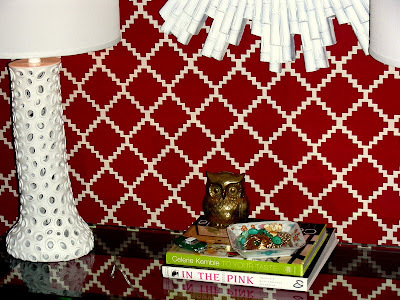 such a great post....i could not imagine life without wallpaper.